It’s been the snowiest, cold, sunny day here today. I didn’t really set New Year’s resolutions this year, but I did have some personal goals about eating healthier and our finances. I’m in that stage where I can’t stop thinking about my goals because I’m 3 days in and excited to make progress. Anyone else feel like that? I have some big things on my to do list, but I’m also hoping to hit up the gym both days, and maybe make it back in time for Blog Brunch. What are your plans for the weekend? If you haven’t read this, you gotta do it. I lettered the word “savor” on my calendar for this month. So much good stuff in Lara’s series on goal setting. It’s not to late to jump in! I’m loving all the New Years posts with a word of the year, but I especially love Kathleen’s word. This post on making excuses for living life made me think today. I feel the same way about not being able to stop thinking about my goals! Hope you have a great weekend! I see you guys have snow, and we in Norway don’t even have it this year! Happy New Year, dear Kate! Such a lame question, but what filter did you use for those instagram photos? I’m obsessed with your blog and gorgeous pictures! Thanks Paige! 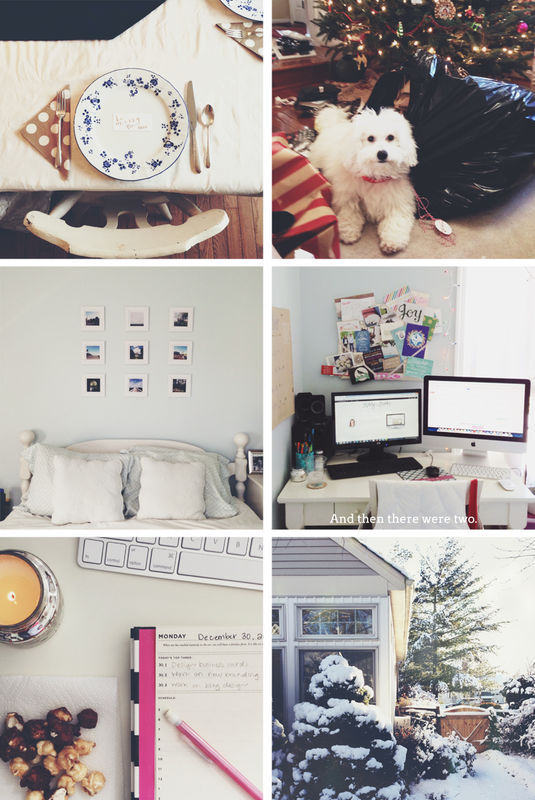 I use a combination of VSCO and Afterlight- I wrote more about it in this post! Good luck with your goals! I’m sure 2014 will be a very productive year! I’m also fired up and ready to go!